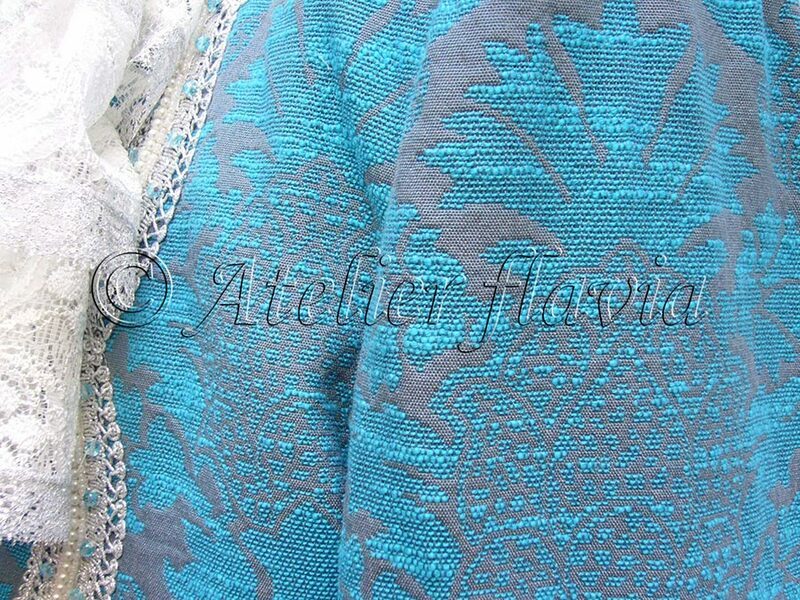 Jacket: cotton and polyester brocade, lurex passementerie, plastic and glass pearls, brocade and lace buttons, polyester satin lining. 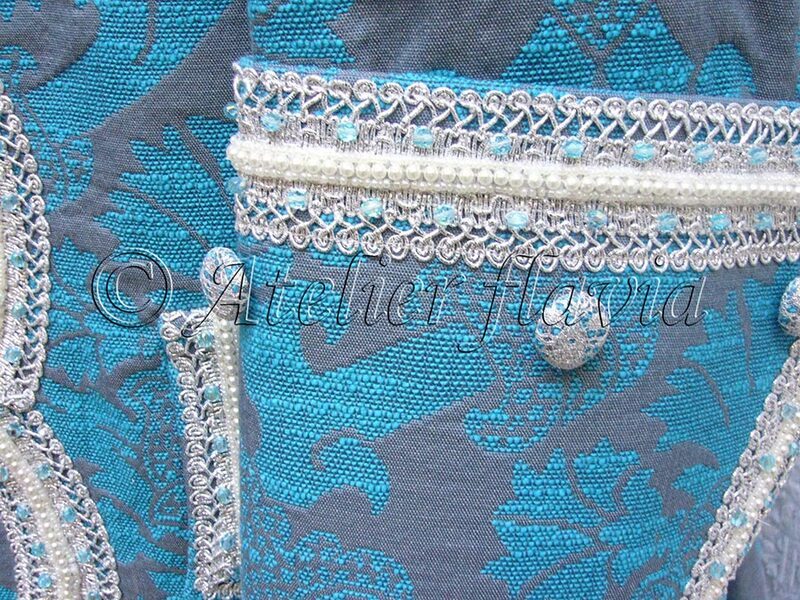 Waistcoat: linen velvet, lurex passementerie, plastic and glass pearls, velvet and lace buttons, polyester satin lining. Trousers: linen velvet, lurex passementerie, plastic and glass pearls. 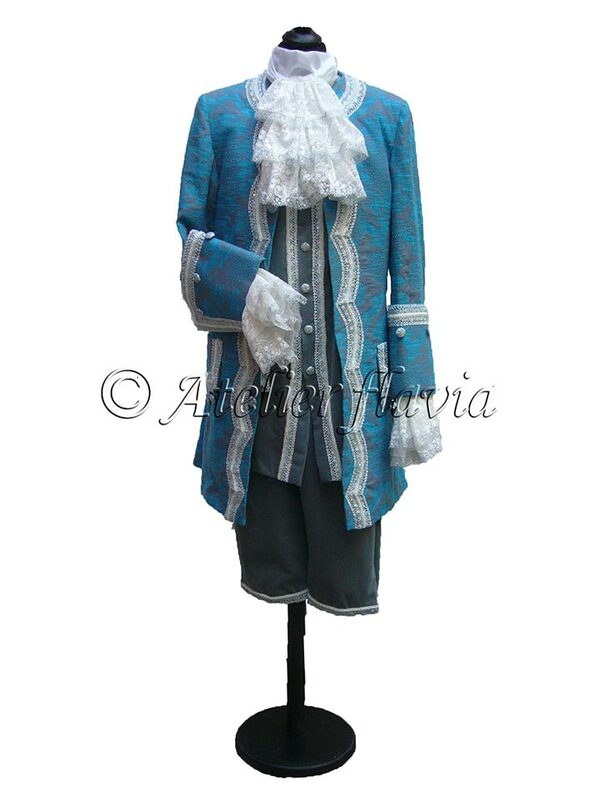 Tricorne: cotton and polyester brocade, lurex passementerie, plastic and glass pearls, ostrich and capon feathers, wool felt base. € 1.700,00 € 1.200,00 Читать полностью.